If you’ve spent a lot of time reading cookware reviews, you probably know that pots and pans can handle totally differently, even if they look very similar. That’s why it’s important to take the time to get to know what’s really in each piece of cookware you’re buying. 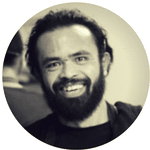 To make an informed buying decision, I believe that you need to know what something is made out of, who it’s made by, and what design features differentiate it from similar products. The truth is, Tools Of The Trade doesn’t have a lot going for it. Barring any huge online sales, I think its products are slightly worse than a budget brand like T-Fal or a specialty brand like GreenPan. While it produces a number of serviceable lines of cookware, I definitely think that you can get cheaper cookware that’s comparable in quality, if not better. To be clear: I’m not saying don’t buy Tools of the Trade. I’m saying that based on my experience the average Tools Of The Trade cookware set is a few dollars more than a comparable set from a budget brand. When I say “comparable” I really mean it in every sense: other than price, you’ll be equally happy with a Tools Of The Trade set and a Kirkland set. However, based on my research, Tools Of The Trade is a little bit more expensive to order online. What Is Tools Of The Trade? Tools Of The Trade isn’t a famous cookware brand in most circles. Instead, it’s an imprint that makes both individual cookware pieces and cookware sets for sale at Macy’s department stores. In other words, buying Tools Of The Trade cookware is somewhat like buying store brand items at the grocery store. The big difference between the high-quality store-branded items you can pick up for cheap at the grocer and this cookware lies with the shopping environment. You normally buy store brand items at the store they’re produced for. If you’re reading this article, however, you probably aren’t shopping at Macy’s. If you have to shop in the department store, Tools Of The Trade is probably the best value for money you can find in the cookware department. If you’ve got the ability to shop on Amazon, however, you’ve got access to brands Macy’s doesn’t carry at prices Macy’s wouldn’t offer you. Enough General Discussion… Let’s Review Some Products! If you can catch this durable stainless steel set on sale, it’s a great alternative to other affordable cookware. If you prefer easier cleanup and worry-free cooking of non-stick cookware, check out this set. If you want a roomy container for preparing meals for lots of people, this pot is a solid purchase. Picking up a set like this every once in a while is a cost-effective way to keep your egg preparation extremely easy. For those of you who want to dabble in stir-frying, here's a fantastically accessible tool for that purpose. This 13 piece cookware set comes with a frying pan, a covered saute pan, two saucepans, and a stockpot. The additional four pieces include a steamer insert and three metal utensils. The four included lids are made from glass and feature steam vents to help keep cooking quiet. 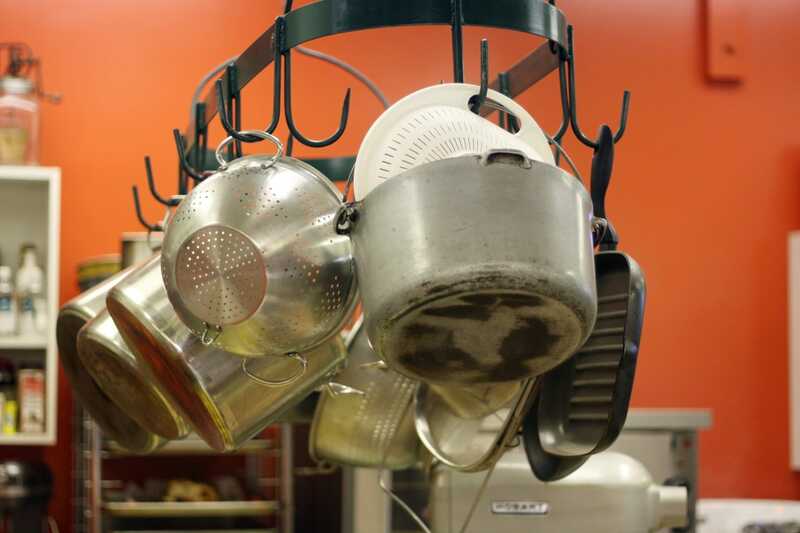 The pots and pans themselves are constructed from magnetic stainless steel. This means that you can use every item in this set on an induction range with no hassle. The walls of this cookware set are thick and do a great job of retaining heat while you cook. While these pots and pans aren’t tri-ply (or multi-ply), they do have aluminum cores built into the impact-bonded bases. 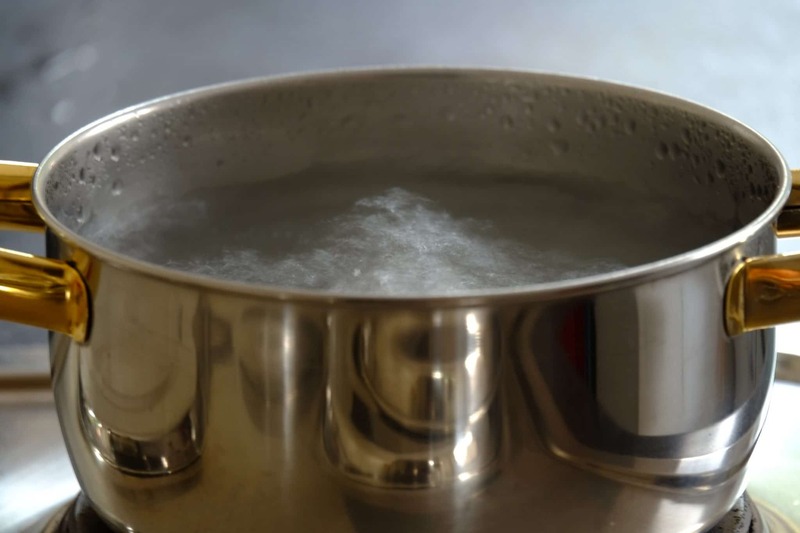 This means that heat will spread throughout the most important parts of your pots and pans quickly and evenly. Each pot and pan responds fairly briskly to changes in temperature. Ideally, you want cookware with an aluminum (or copper) core that extends all the way out to the rim of each pot and pan. The downside to having bonded bases and solid stainless steel walls is most apparent when you try to reduce the heat on a liquid dish you’re boiling. In this specific use case, the steel side walls of your pot or pan will retain a lot of heat and cause your food to stay hot for longer. You’re usually not super concerned with a precise temperature here, however — most recipes involve “reducing to a simmer” with little regard for exactly how long this takes. If you want more precise temperature control, however, you’ll want a true multi-ply set (and not this one). Stainless steel is my cooking surface of choice these days, meaning I would absolutely choose this as my primary cookware set over a fully non-stick set. That said, there’s nothing wrong with having the opposite preference. If you prefer easy cleanup over longer lasting cookware, you’ll want to check out the review of a Tools Of The Trade’s nonstick set below. This cookware set is quite affordable. The durable metal construction means that it can last you for pretty much as long as you like. It’s dishwasher safe, too, meaning that you can clean up some pretty gnarly messes by throwing a pot or pan in the dishwasher for a cycle or two. If you can catch it on sale (either on Amazon or in person at Macy’s) it’s a great alternative to other affordable cookware sets (like Paula Deen’s cookware). If it’s not on sale, however, I’d recommend picking up THIS set instead. This 13 piece set contains the same collection of items as the set above: a frying pan, a covered saute pan, two saucepans, and a stock pot. The four extra items are the same, too. You get the same flower steamer and a set of three utensils (nylon this time instead of metal). The big difference here is that the pots and pans are made out of aluminum instead of steel. Instead of a durable stainless cooking surface, you get a shorter-lived non-stick that makes cleanup even easier. Frankly, there’s not a huge difference in performance between different brands of aluminum non-stick cookware. You’ll get the same brisk, even heating and the same rapid cooling when you back off with the burner heat. These characteristics come from the physical properties of aluminum. It’s an excellent conductor of thermal energy, meaning it’s very good at both taking heat from your burner and applying it to your food and allowing your food to cool off when you’re done cooking. One important thing that DOES vary between brands is the type and effectiveness of the non-stick coating. Tools Of The Trade uses a PTFE-style non-stick, which means it’s quite similar to Teflon. This particular non-stick is totally free of PFOA, which is the toxic chemical that caused a big scare a few years ago. 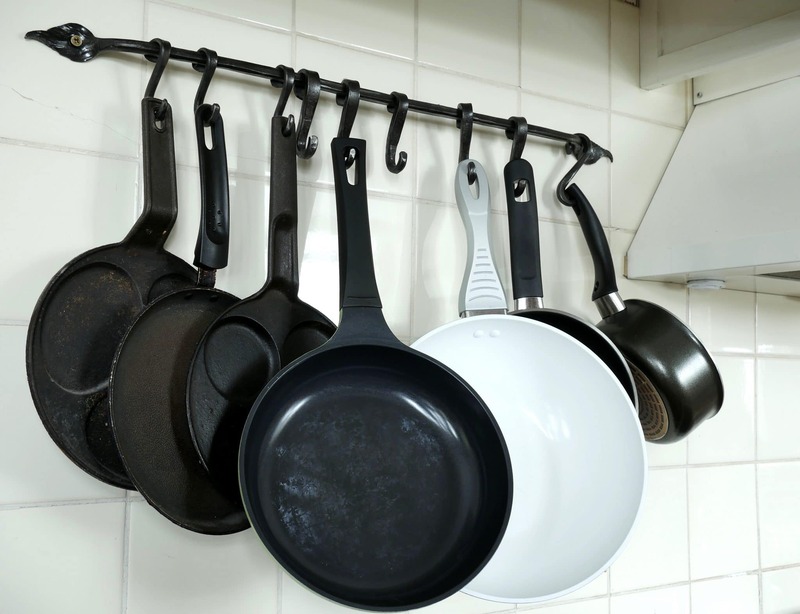 While you’ll probably find these pans a bit more durable than Teflon pans produced twenty years ago, the non-stick coating still has a finite lifespan that’s much, much shorter than the lifespan of a stainless steel cooking surface. My limited hands-on experience with this set isn’t enough to say how long your set will last, but I usually estimate that non-stick cookware will last for a maximum of 5 years under optimal conditions. Plan to replace this set before then. If you prefer the easier cleanup and worry-free cooking provided by non-stick cookware, this set is a solid alternative to the stainless steel set above. It offers slightly better thermal characteristics and effortless eggs at the expense of longevity and oven safety. Again, if it’s on sale or you want to buy your cookware at an actual Macy’s store, this is a pretty good set to choose. If not, be sure to check out the competition before you buy, including options like Curtis Stone and T-Fal. 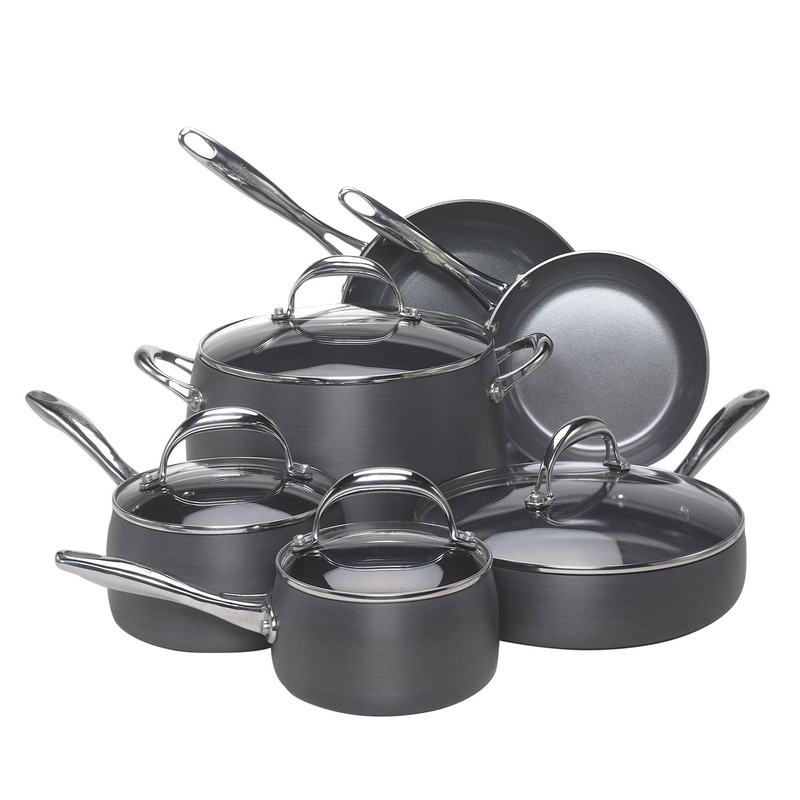 Tools Of The Trade was founded to stock Macy’s shelves, so it offers cookware by the piece as well as in larger sets. 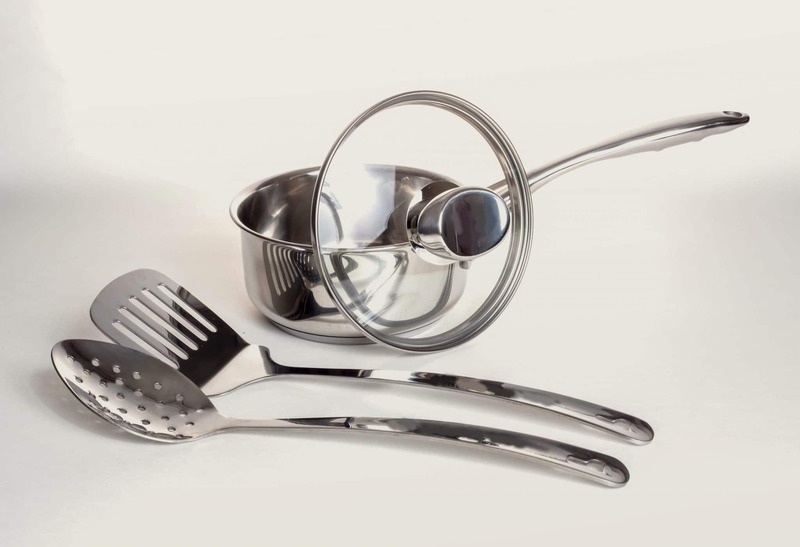 Here are a few Tools Of The Trade pots and pans for people who don’t need a whole 13-piece cookware set. This roomy stainless steel pot is perfect for cooking large dishes for the whole family. It’s made from durable materials, ensuring that it will last in your kitchen for a long time. This makes it a great accessory to add to a non-stick set: you’ll be able to use this as often as you like without worrying about wearing out the interior of your primary cookware set. While the exterior of this pot is quite durable, some customers have reported issues with the interior finish. If you notice any pitting or other damage when cooking with this pot, be sure to report it to Macy’s customer support immediately. Despite any quality assurance concerns you might have, this large pot is quite inexpensive for its size. If you want a roomy container for preparing meals for lots of people, this pot is a solid purchase. One of my favorite things to recommend from cookware brands like Tools of the Trade is a multi-piece frying pan set like this one. This is for three reasons: these sets are cheap, they come with more than one frying pan, and non-stick pans (like the ones in this set) have a finite lifespan. Picking up a set like this every once in a while is a cost-effective way to keep your egg preparation extremely easy — simply move onto the second or third pan when the non-stick coating on the first one wears out. Of course, you don’t have to use your frying pans like that. Instead, you could use the three different sizes for different types of dishes and simply enjoy all three of these aluminum frying pans at the same time. There’s nothing wrong with that! As I said earlier, there’s not a huge difference between inexpensive non-stick aluminum cookware like this set and a more expensive brand like Ballarini. While you do tend to get slightly worse construction and less durable PTFE, you’re still going to buy a new set of non-stick pans in a few years no matter what. If you’d prefer to save money, choose Tools of the Trade. 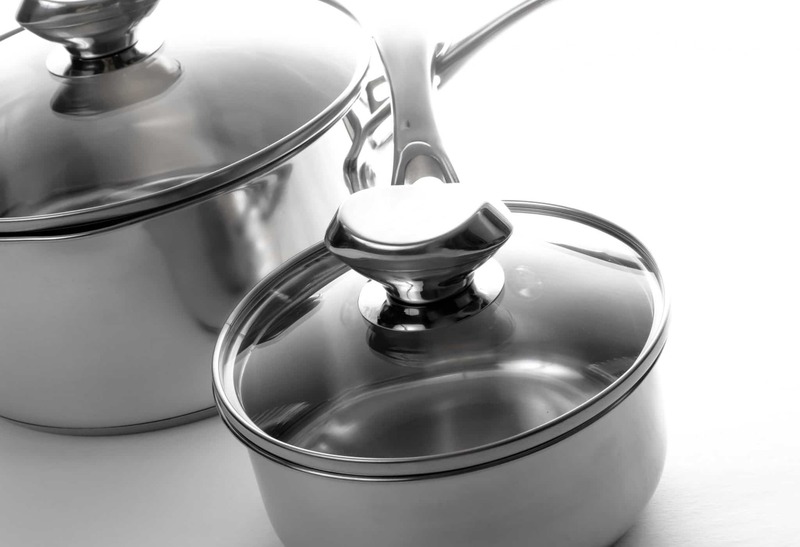 If you’d like slightly better cookware, you might want to choose Ballarini. This non-stick wok has a traditional curved shape that suggests you could use it on a high-powered gas burner. It’s got a flat enough bottom for use on a normal range, however, making it a great tool for anyone who wants to use their wok on their regular old kitchen stovetop. This makes it fantastically accessible for people who want to dabble in stir-frying. You get lots of room for different ingredients, while the curved sides let you control how fast different ingredients cook. If you’re an experienced Asian chef, however, you should choose a different option. The answer is simple: this is a non-stick wok. Traditional wok use often involves getting the bottom of the pot very, very hot over a powerful gas flame. The non-stick interior won’t handle these high temperatures very gracefully. As long as you plan to use this tool for more casual stir-frying over medium-high heat at most, however, you’ll do fine with this non-stick wok. The aluminum construction means that it heats up very quickly while the non-stick interior makes cleaning up after your stir-fry adventures a breeze. 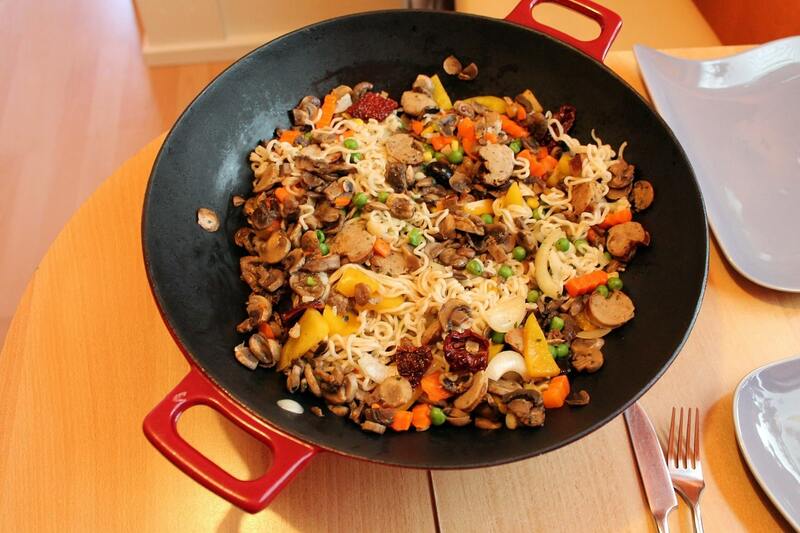 Best of all, the price on this particular offering is quite competitive with non-stick woks from other budget brands. Tools Of The Trade: A Solid Budget Choice? Based on my research, Tools of the Trade is a competitive brand that falls just short of earning my unqualified recommendation. While it makes fairly high-quality cookware that’s not too expensive, it’s neither noticeably higher quality nor substantially cheaper than a brand like T-Fal. In fact, it tends to be a bit pricier on Amazon, depending on sales. Should you happen to find a retailer that sells Tools Of The Trade cheaply (like an actual Macy’s store), it’s a solid brand that you should have no shame in choosing over more expensive options. If you’re shopping from home on Amazon, however, I’d recommend checking out other brands in the same price range (including T-Fal, Calphalon, Cuisinart, and more). You might find that you like both the prices and features from other brands a bit more.